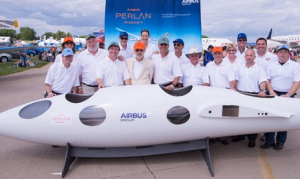 It can be tough to know what to see at an event as big as EAA Airventure Oshkosh. As aviation enthusiasts, it is a problem we face every year. Here are some of our picks for can’t miss goings-on at the 2015 fly-in. Hope to see you there! America’s most iconic airship will make its Oshkosh debut in 2015. 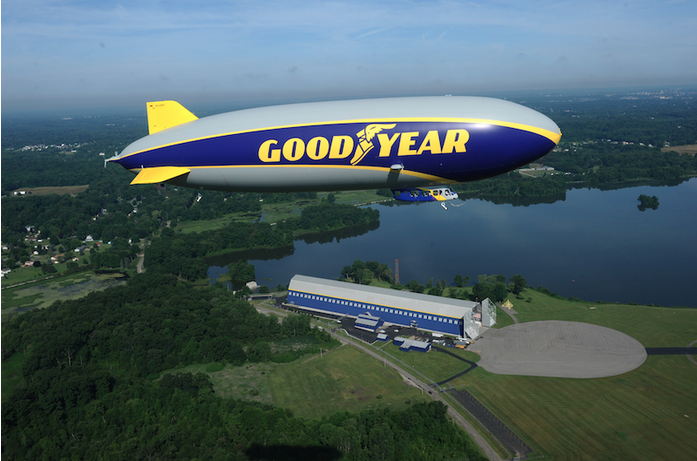 This blue and yellow beauty is the first of Goodyear’s new semi-rigid airships, designed by ZLT Zeppelin Luftschifftechnik. Goodyear didn’t change their airships’ design for over seven decades, so this represents a major technological step forward. Wingfoot one is scheduled to arrive Tuesday, July 21. It will stay onsite through Sunday, July 26. This unique glider was designed to break the altitude record for manned, propeller-driven aircraft. If all goes according to plan, it will take a pilot to 90,000 feet above the surface of the earth. In order to reach that altitude, the glider will take advantage of winds from the Polar Vortex and stratospheric mountain waves. The flight is scheduled for next year at an unnamed location in South America. Hartzell’s home-away-from-home will return to Oshkosh this year, after a successful debut in 2014. Hartzell HQ is a free-standing two-story symbol of our ongoing commitment to the world’s premier aviation event. Be sure to stop by and meet titans of the industry, such as celebrated aerobatic performer Sean Tucker and Red Bull Air Race pilot Michael Goulian. The HQ is air conditioned as well, meaning it is the best place to beat the heat and talk shop with the teams from Hartzell Propeller and Hartzell Engine Technologies. The “XWB” moniker given to this enormous aircraft stands for “Extra Wide Body.” It is not an exaggeration. The test flight version of this aircraft can carry up to 330 passengers on journeys up to 7,750 nautical miles. The A350 XWB will be available for public tours prior to a flight demonstration on Tuesday, July 21. Another demonstration will be held on Wednesday, July 22 as well. The EAA Air Museum is a treasure trove of aviation artifacts. Visitors get the chance to see dozens of history-making aircraft, such as the Cessna G-2 glider. This masterpiece of wood and canvas sold for just over $300 and kept Cessna afloat during the Great Depression. The museum also contains exhibits on historic aviators and aviation technology. Last year, the Hartzell team donated a display on the mechanics of aircraft propellers.